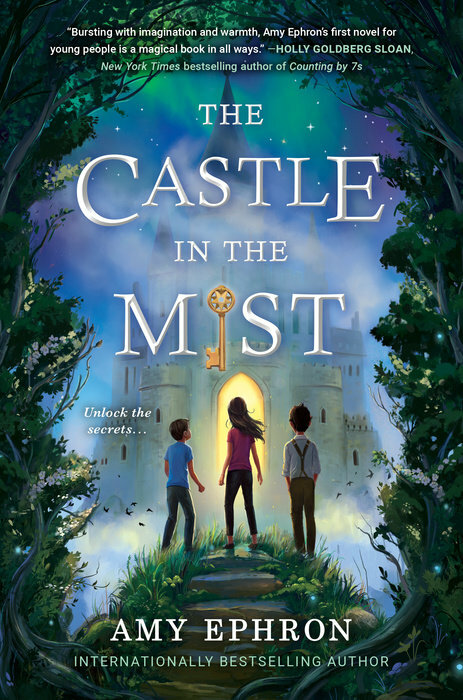 MMGM Giveaway: (10/30/2017): Win one of two signed copies of The Castle in the Mist by Amy Ephron! 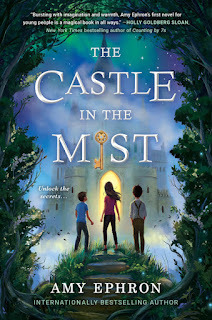 I have no review for MMGM today, but to make up for it, I am giving away not one, but two signed copies of The Castle in the Mist by Amy Ephron! For MMGM, I am recommending Crenshaw by Katherine Applegate. This book is incredible! I should say now that this book is much sadder than many of the others that I have recommended recently. However, that, of course, does not diminish how touching it is. Crenshaw deftly portrays a financially troubled family, with children very aware of what their parents are not telling them. As Jackson, the narrator, both describes what is happening to his family presently and their past experience of living in their car, readers will understand, more than ever, what this family and similar ones in the real world are going through. Crenshaw, Jackson's realistic imaginary friend from the past who returns during the book, adds a touch of humor and warmth to the novel, as do Jackson's family members and friend, Marisol. 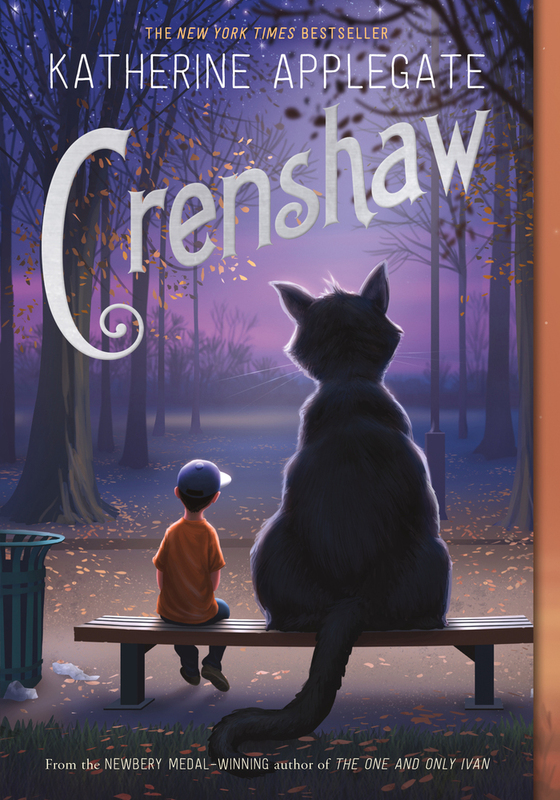 Crenshaw is a book that everyone should read for its incredible depiction of real-life struggles, compelling characters, and sheer display of hope in the world. 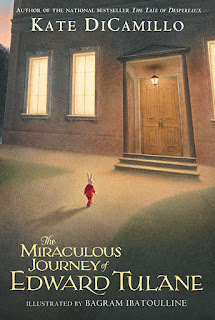 For MMGM, I am recommending The Miraculous Journey of Edward Tulane by Kate DiCamillo (author of other books I have enjoyed, such as those here and here), with illustrations by Bagram Ibatoulline. Kate DiCamillo takes us on an extraordinary journey, from the depths of the ocean to the net of a fisherman, from the top of a garbage heap to the fireside of a hoboes' camp, from the bedside of an ailing child to the bustling streets of Memphis. And along the way, we are shown a true miracle -- that even a heart of the most breakable kind can learn to love, to lose, and to love again. THE #1 NEW YORK TIMES BESTSELLER is now available in paperback! This timeless tale by the incomparable Kate DiCamillo, complete with stunning illustrations by Bagram Ibatoulline, honors the enduring power of love. This book is simply incredible! When I first bought it, I promptly read it in 2 hours. While looking at it again for this review, I found myself sucked in and deeply touched by the end (even more so than when I first read it). The Miraculous Journey of Edward Tulane is very fast-paced, but an incredible amount of impact is packed into each place where Edward ends up. Some places Edward enjoys, some he does not, and some he cares deeply about. One of the best parts of this book is simply how true the depictions of love and the loss of someone are. Many books try valiantly, but few convey the same amount of emotion that this book does. However, The Miraculous Journey of Edward Tulane is not so depressing that you can’t keep reading. The plot also helps pull the reader through, with an abundance of cliffhangers that will most likely force you into reading this book as quickly as I did! 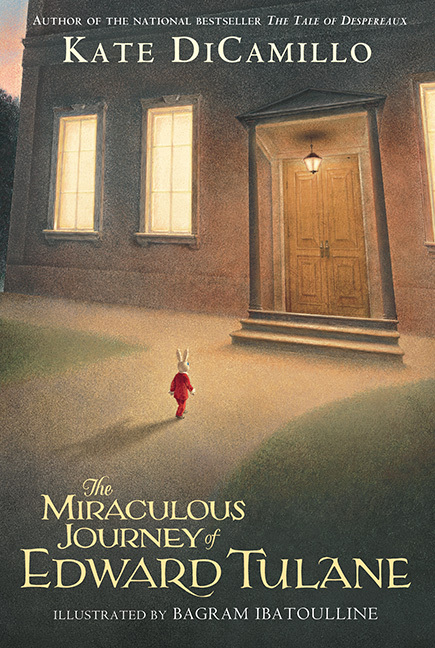 Everyone who reads The Miraculous Journey of Edward Tulane will come out of it deeply changed, making it a perfect book for any age, from young child to old adult! 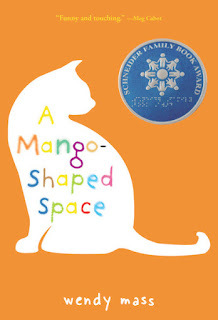 For MMGM, I am recommending A Mango-Shaped Space by Wendy Mass. I love this book! One of the best parts of this book was getting to learn about the rare condition of synesthesia. The book is clearly well-researched, and readers will learn about synesthesia’s qualities, both good and bad. The book also has interesting characters with strengths and flaws. Although Mia makes mistakes throughout the book, she is still a good person who readers will like. The book deals with many complex themes, such as how people deal with death and how much people can care about pets. The book never slows down, with various events constantly happening that affect Mia in different ways, changing her immensely by the end of the book. Different parts of the book may show Mia’s relationship with her siblings or her friends, her dealing with synesthesia, or her dealing with the loss of her grandfather. This book is both heartbreaking and incredibly enjoyable, and every reader will love it by the end! In the interest of enjoying the remaining few hours of my busy weekend, I will, unfortunately, not be posting anything this week. I will most likely have more posts next week (and a signed book giveaway coming up), so stay tuned!